The dome is the largest monolithic sculptural piece in the temple with ground surface area of about 2x2 meters and is called the "amalaka". The superstructures over the shrines are 3-tiered (tritala arpita) vesara (combination of south and north Indian style) with the sculptural details being repeated in each tier. 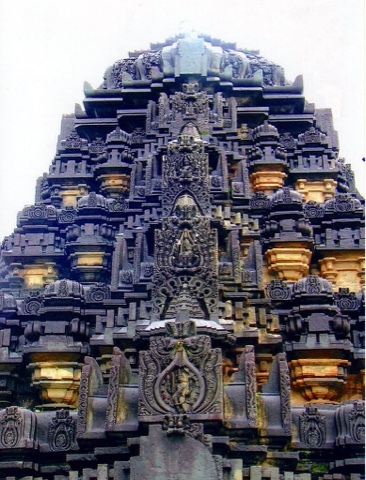 The temple exhibits other standard features present in a Hoysala style temple: the large decorative domed roof over the tower; the kalasha on top of it (the decorative water-pot at the apex of the dome); and the Hoysala crest (emblem of the Hoysala warrior stabbing a lion) over the sukhanasi (tower over the vestibule).